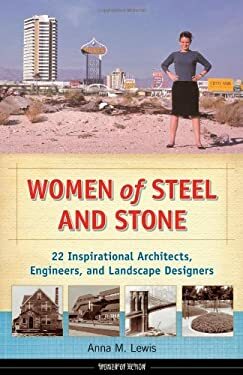 An inspiration for young people who love to design, build, and work with their hands, "Women of Steel and Stone" tells the stories of 22 female architects, engineers, and landscape designers from the 1800s to today. Engaging profiles based on historical research and firsthand interviews stress how childhood passions, perseverance, and creativity led these women to overcome challenges and break barriers to achieve great success in their professions. Subjects include Marion Mahony Griffin, who worked alongside Frank Lloyd Wright to establish his distinct architectural-drawing style; Emily Warren Roebling, who, after her husband fell ill, took over the duties of chief engineer on the Brooklyn Bridge project; Marian Cruger Coffin, a landscape architect who designed estates of Gilded Age mansions; Beverly L. Greene, the first African American woman in the country to get her architecture license; Zaha Hadid, one of today s best-known architects and the first woman to receive the prestigious Pritzker Architecture Prize; and many others. Practical information such as lists of top schools in each field; descriptions of specific areas of study and required degrees; and lists of programs for kids and teens, places to visit, and professional organizations, make this an invaluable resource for students, parents, and teachers alike."